OK! So … for a long time I swore off Steve Madden and Aldo shoes because they were just not making it happen any more. They had a dry spell where all their shoes were hard, uncomfortable and cheap knock offs of everything designer. Don’t get me wrong, they are still the kings of knock offs. Click more to see the Wedges. For a long time, Zara footwear kicked Aldo and Steve Maddens out of the game, but now, I’m not so sure they are far behind any more. Steve Madden has definitely upped their game and their prices are comparable to Jeffrey Campbell. The S.M. 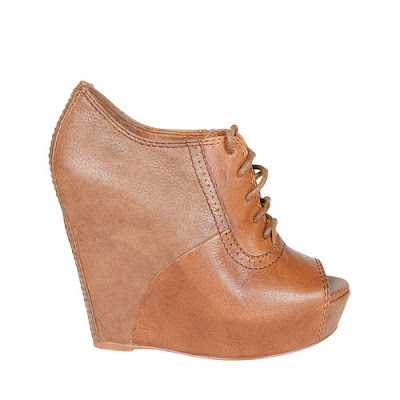 Warrick shoes are a perfect replacement for the much adored Jeffrey Campbell Snick STD wedges. S.M. Dessertt (yes, double t) is hot for spring, summer & fall! It also comes in camel. The S.M. Annton comes in black and brown. The Perfect option for anyone who missed out on this season’s IT oxford wedge by Zara, because in pictures, the similarity is stricking!